Released in the same year as The Beatles’ “Revolver” and The Beach Boys’ “Pet Sounds”, “Freak Out!” is one of the most audacious debuts ever released. It manages to be a product of its time; ahead of its time and a flashback to the 1950’s all at once. 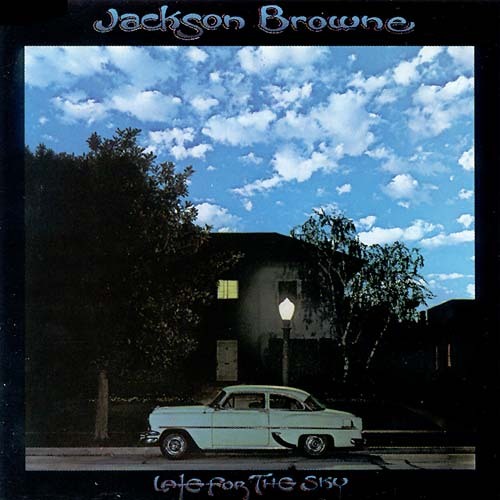 If not for Bob Dylan’s “Blonde on Blonde”, this would have been rock’s first double album of original material. This record marked the arrival of the legendary Frank Zappa, who wouldn’t release his first solo album until late 1967. The eldest of four siblings, Zappa was born in Baltimore, Maryland in December of 1940. As a young boy, Zappa suffered from asthma and sinus trouble, so his family moved to the warmer climate of California, settling in San Diego in 1952. He joined his first band while attending Mission Bay High School, drumming for Latino R&B combo The Ramblers. The family soon relocated to Lancaster, and Zappa graduated from Antelope Valley High School before leaving home to live in Los Angeles in 1959 (while at AVHS, Zappa met and befriended Don Van Vliet AKA Captain Beefheart). Zappa had no problem performing standards with singer Ray Collins, bassist Roy Estrada and Jimmy Carl Black on drums. Bored with continually playing covers, Zappa began introducing his own compositions to the group, which were garnering positive responses from their audiences. The band renamed themselves The Mothers, recruited guitarist Elliot Ingber, and moved to Hollywood, catching the eye of record producer Tom Wilson. He was so impressed by them, that after signing them to MGM’s Verve label in March of 1966, the group were given a recording budget of $21,000, instead of the customary $5,000 for a debut album. The label took issue with the connotations behind the band’s name, so Zappa suggested The Mothers of Invention. This record starts off with ‘Hungry Freaks Daddy’, a warning against those who trust the establishment and the rise of people who are trying to fight it. Built around a riff that owes a debt to the Stones’ ‘(I Can’t Get No) Satisfaction’, this psych-rock song’s unsettling feeling is created by the use of Zappa and Collins’ shared vocals, as they go in and out of harmony and unison. It’s a great opening track that showcases the band’s innovative use of the kazoo and the marimba; the latter becoming a staple of the Zappa sound in future releases. From here we are lead through ballads (‘How Could I Be Such a Fool?’), paranoid doom (‘Who Are The Brain Police?’), bubblegum pop (‘Wowie Zowie’), sexual band mission statements (‘Motherly Love’) and some wonderful doo-wop tracks. Zappa was a massive fan of vocal groups, but ‘Go Cry On Somebody Else’s Shoulder’ and ‘You Didn’t Try To Call Me’ walk a fine line between parody and homage. ‘Any Way the Wind Blows’ is another terrific highlight, inspired by the breakdown of Zappa’s first marriage. The relatively accessible first record of this double album does not prepare you for the second, which opens with ‘Trouble Every Day’, a protest song in blues format about the Watts Riots of L.A. Arguably the most straightforward piece here, Zappa’s rapid fire double-tracked vocals are almost a precursor to the rap movement. The next track is broken into two movements: ‘Help, I’m a Rock’ and the mostly acapella ‘It Can’t Happen Here’. The latter comes across as a barbershop quartet piece from Hell, until several listens reveal a deliberate structure. Both of these show Zappa’s love of Stravinsky and avant garde French composer Edgard Varèse. These tracks are just a warm up for the twelve minute ‘The Return of the Son of Monster Magnet’, the product of a midnight recording session with randoms off Sunset Strip letting loose on $500 worth of percussion. Pre-dating The Beatles’ ‘Revolution 9’ by two years, this piece of musique concrete is the biggest hurdle to enjoying the album. While this album may not be for all tastes, I believe that it has something for everyone. Composed, arranged, orchestrated and conducted by Frank Zappa, this is a remarkable piece of work. Frank Zappa was so prolific as an artist that it’s hard to know where to dive it to his back catalogue. 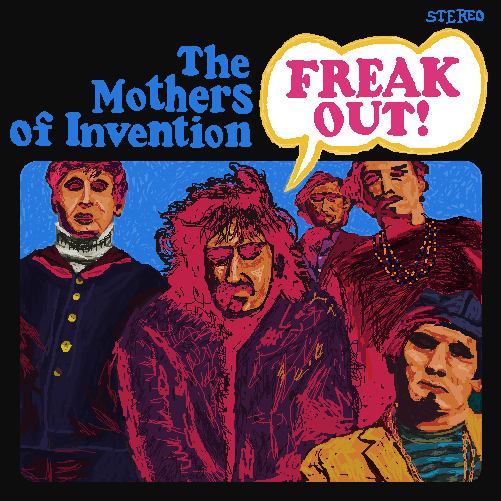 “Freak Out!”, the debut for The Mothers of Invention is a pretty good starting point. If artists like The Flying Burrito Brothers took a couple of genres and fused them together, Zappa took as many genres as he could, mixed them together and threw them at a wall to see what would stick. Crazily enough it kind of works. There is something really infectious about the sound of The Mothers of Invention. Upon first listen, “Freak Out!” just seems really weird, almost confronting, but over time it starts to make sense and you start to see the brilliance of Zappa unfolding. In Australia we have the slang ‘taking the piss’, which means to mock or make fun of. It’s obvious from the get go that Zappa is the master at it. The thing though that stops this being a parody/joke album is that he does it in such a bloody endearing way. Yes he is poking fun at the culture of the 60s, which is quite easy to do I might add, but you can tell he also loves it. He’s like the big brother who relentlessly teases you but would be the first to stand up for you when neccesary. Over his career Zappa released 62 albums, spanning as many genres as he does on the tracks of this album. He’s crazy in that genius, eccentric kind of way. Even if you don’t like the man or his sound you do have to give him props for the mark he left on the musical landscape. My word, The Mothers of Invention were truly awful! [Pause] Now that Clay has recovered from his heart attack, I can say that I absolutely loved “Freak Out!” The thing I loved the most about it is that Frank Zappa doesn’t take himself too seriously. Or, at all seriously. “Freak Out!” was written from Frank Zappa’s perspective on American modern culture in the 60s – not that that is a subject I specialise in.’ Go Cry On Someone Else’s Shoulder’ is a parody of a shoo wop song. You know the “you left me baby, but I love you and I want you back”? Well, not Mr Zappa. In true Zappa fashion, he’s written exactly the opposite. And his spoken word part at the end is brilliant. I think spoken word is definitely one of Frank Zappa’s strengths. He’s a funny, funny guy. And, something that took me quite by surprise, quite an adept guitarist! The whole band is quite excellent, from the lead guitar to the kazoo! Ray Collins is also credited as playing the finger cymbals, which is hilarious. We’re looking at an MC5-esque situation here, ending the album with a long conceptual piece. The difference between ‘Starship’ and this track, ‘The Return Of The Son Of Monster Magnet’, is actually good – check that – it’s great. It is kinda spacey, the way ‘Starship’ was, but this is much tidier and utilises beautifully what I can only assume is a theremin. The drumming is also brilliant, and I was both disappointed and surprised to find it was not Vinnie Colaiuto behind the kit. This album, and Clay’s constant Zappa evangelism has made me keen to investigate The Mothers Of Invention more. But what is clear from this debut album is that Frank Zappa is a musical genius. 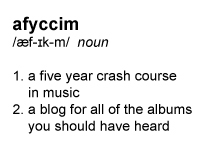 This album is so far from my kind of thing. I read a quote on Wikipedia which said Frank Zappa’s ‘diverse musical influences led him to create music that was often difficult to categorize’. Damn straight it was! There was just too much going on for me to hone in on what I dug and every time I listened to it I just got irritated! It was this crazy recapitulation of the whole evolution of rock music in the 60’s. There’s everything from folk rock to Brit-pop, to blues- rock, to an east coast sound reminiscent of the Beach Boys and at times the rock ‘n’ roll sounds even eluded to work of the works of “Frankie Valli & The Four Seasons”. There’s no denying that for a debut album, “Freak Out!” was pretty amazing, especially since Frank Zappa was self-taught as a musician and composer. Zappa’s vocal, with an exaggerated sarcastic droll and deadpan sound, stand out for their political and social commentary, and because of this I sometimes felt like I was listening to poetry with a musical accompaniment rather than the contrary. I’d also be interested to know if anyone else who listened to this was instantly reminded of the band “Cake” – Zappa’s lead vocal immediately conjured up thoughts of the 90’s alternative rockers. There were parts of the album that I particularly enjoyed, for example the anthemic ballad ‘How Could I Be Such a Fool’ was easier on the ear, although it was a bit too over the top for my liking. I also liked the political undertones of the psychedelic-ish ‘Trouble Every Day’ and it had a catchy guitar hook. Overall though, it just seemed to drag on for me – why do the albums I don’t really like insist on having so many tracks! Not one of my favourites, I’m afraid.